From Anna Wintour and the editors of Vogue to Alexander Wang, Rihanna and The Duchess of Cambridge, today's style is persona driven. Anna Wintour is surrounded by media backstage before the Alexander Wang Fall 2010 collection. “Fashion can tell you everything that is going on in the world,” says Anna Wintour in the new documentary “In Vogue: The Editor’s Eye,” which debuted this week on HBO. And what is fashion telling us right now? Insiders and observers agree: personality is what’s driving the world of style. From the placement of New York designer wunderkind Alexander Wang to the creative directorship of storied French fashion house Balenciaga; Rihanna announcing she will produce and star in a reality series that will focus on celebrity dressing; a maternity-wear industry thrilled over the announcement of a royal baby on the way in the U.K.; to that documentary exploring the behind-the-scenes work of fashion editors at Vogue, it's the people who create the trends that are now firmly in the spotlight. "Fashion has always played an integral part in my life and career,” said Rihanna in a statement Wednesday announcing her show “Styled to Rock,” tentatively scheduled to air on the Style network in the second half of 2013. The reality series will feature 12 designers -- hand-selected by the singer -- who will be tasked with creating various looks for celebrities. Barbados-born Rihanna splits her time between homes in L.A. and New York, but spends much of the year traveling the world promoting and performing her music. That gives her a unique insight into global trends – a physical, on the ground view of what the majority of fashion followers only experience via Instagram and Tumblr. Her personal mix of high/low style includes pairing designer jackets with street brand denim and mass appeal sports footwear; a haute street approach that has made her a style icon to women of all ages and socio-economic backgrounds. Rihanna’s personality directly informs her brand. That notion couldn’t be more evident than in the appointment of 28-year-old Alexander Wang as creative director at Balenciaga. Wang is expected to bring the streetwise edge and social popularity that has made him one of the brightest stars of the American style scene to the French fashion house that was founded in 1914, according to WWD. 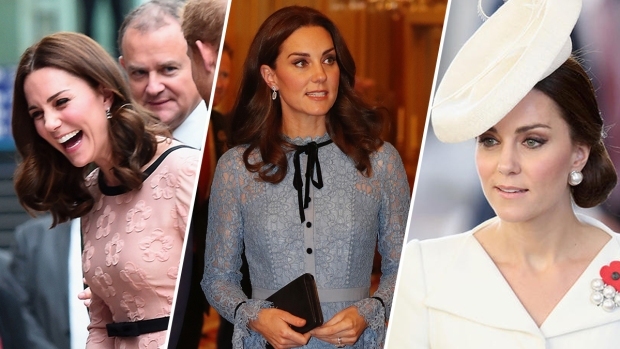 Kate, the Duchess of Cambridge, has enthralled the globe with her chicly elegant approach to dressing. Always appropriate and never overtly sexual, her choice of that Alexander McQueen wedding dress in 2010 cemented her as one to watch. So on trend and appealing has she become that Vanity Fair promoted her to their 2012 Best Dressed List. Kate’s influence on clothing purchases has been dubbed “the Duchess Effect,” and with news that she is pregnant with an heir to the British throne, her choices of maternity clothing will no doubt provide inspiration to American moms-to-be as much as her wedding dress informed prospective brides. "The big maternity style designers will be keeping a close eye on what she is wearing and then designing pieces that they will actually market as Kate Middleton style," Shannon Guyton, style director of TheBump.com said following the announcement. "And moms everywhere will start mimicking whatever elements she brings - like sleeved gowns following her wedding." Lesser known fashion personalities step into the spotlight in “In Vogue: The Editor’s Eye.” The documentary highlights the visual and historical contribution fashion editors have made to the pages of the magazine over the years. The special focuses on editors past and present including Babs Simpson, Tonne Goodman and Grace Coddington (whose no-nonsense attitude already gained fame thanks to her scene stealing appearance in 2009's "The September Issue") and the images they helped create. At the helm of Vogue is Wintour, herself a larger-than-life personality now making headlines thanks to reported rumors of a possible future political ambassadorship due to her fundraising efforts for President Obama. The official word from Wintour is that she is happy where she is, and with 2013 marking her 25th year at the helm of one of the world’s most successful fashion bibles, it’s difficult to imagine her stepping down in advance of such a landmark anniversary.